Chef Glynn Purnell is a lynchpin of Birmingham’s gastronomic scene. Thanks to countless television appearances on ‘Saturday Kitchen’, the bearded Brummie is becoming a household name beyond the boundaries of his home city. 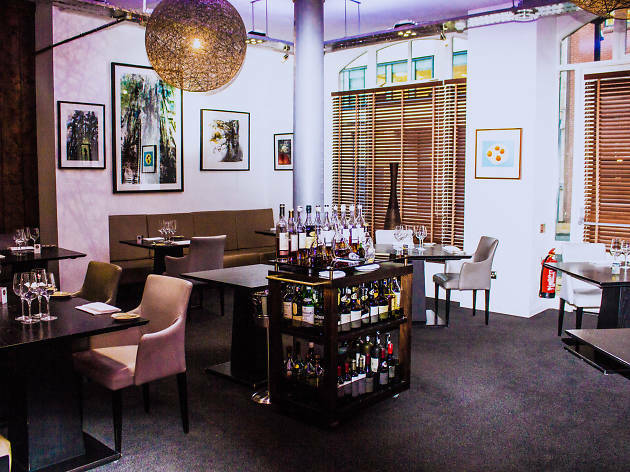 Having won Birmingham one of its first Michelin Stars at a previous restaurant, Purnell set up shop on his own soon after, where in 2009 the Michelin gods came knocking again to award a star. Housed in a genteel Victorian redbrick building near St Philip’s Square, Purnell’s interior is sleek, modern and unfussy. Flooded with light from two sides thanks to its corner location, it exudes an air of calm and class from the moment you enter. Food is British gourmet with a few French accents thrown in – you’ll see treats such as English rose veal cheek (brilliantly tender and rich) and crab salad, alongside Alsace bacon and foie gras butter. There’s also a proud strain of Birmingham pride revealed in dishes such as the Bourneville honey and Brummie cake. 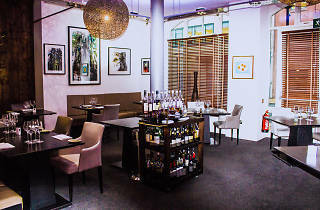 Indeed, the restaurant also serves a special menu named Brummie Tapas, which puts an elegantly homegrown twist on the concept, and is aptly served in the relaxed area called ‘Purnell’s Living Room’. The contemporary 11-course tasting menu will set you back £85 per person, while the seven-course menu comes in lower at £65 per person. Expect to pay £60 or more for accompanying wine flights.